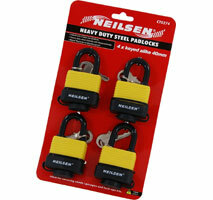 Heavy duty steel shackle with Brass cylinder. 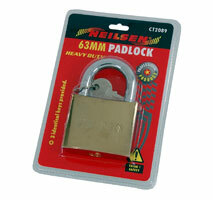 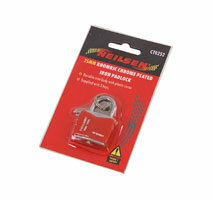 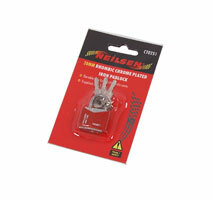 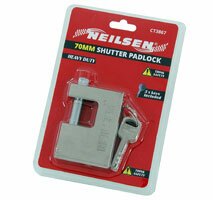 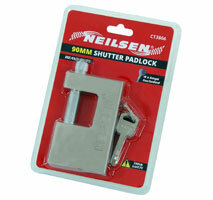 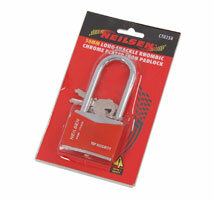 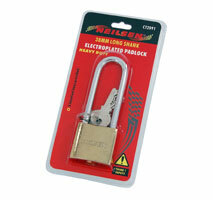 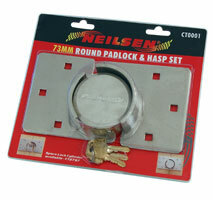 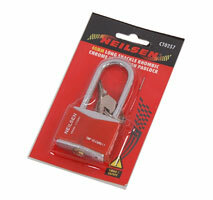 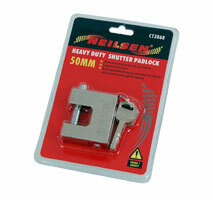 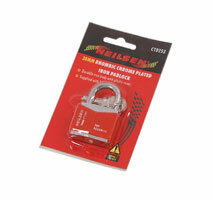 Ideal for securing sheds / garages and lock-ups etc. 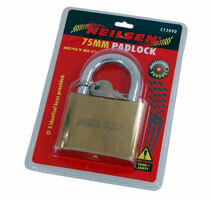 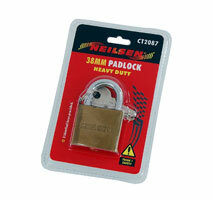 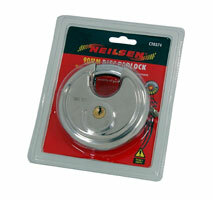 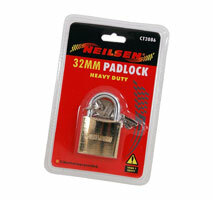 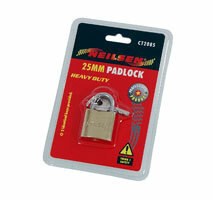 40mm with 2 Keys per Padlock. 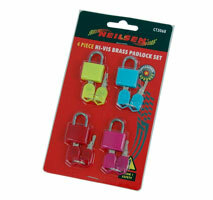 All 8 keys supplied will fit each padlock. 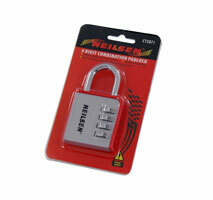 Water Resistant with weather proof coating. 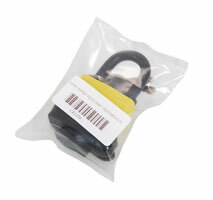 Durable iron body with plastic cover. 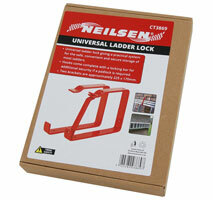 Safe and easy way to secure ladders with a universal fitment for roof racks. 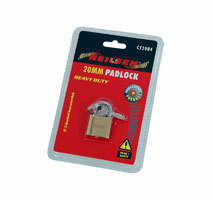 Suitable for tradesmen needing security for on-site applications. 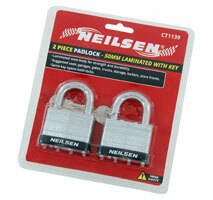 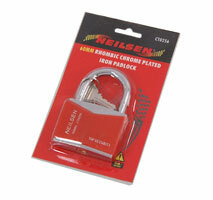 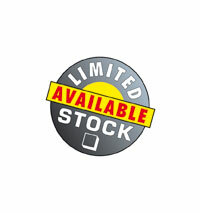 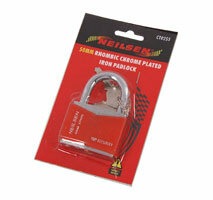 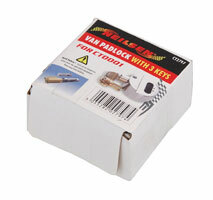 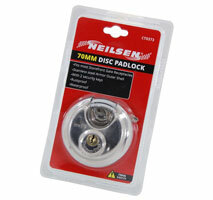 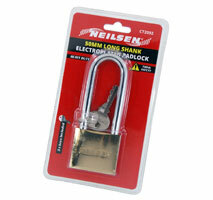 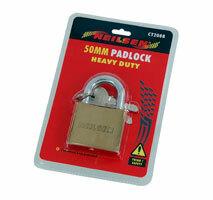 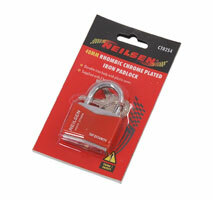 Supplied with two heavy duty padlocks.